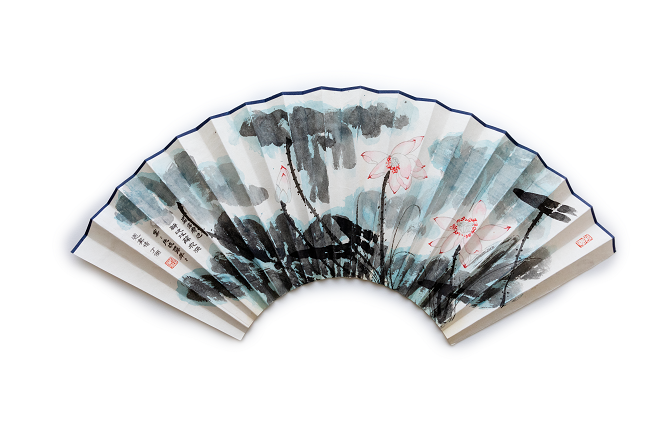 a folding fan painting on rice paper created by the Chinese artist Liu Xirong. It is a folding fan painting on rice paper created by the artist Liu Xirong. Lotus is the artist's favourite ink painting subject. Lotus has profound cultural significance in many Asian countries like India and China. Hindus revere lotus as a symbol of purity and beauty. 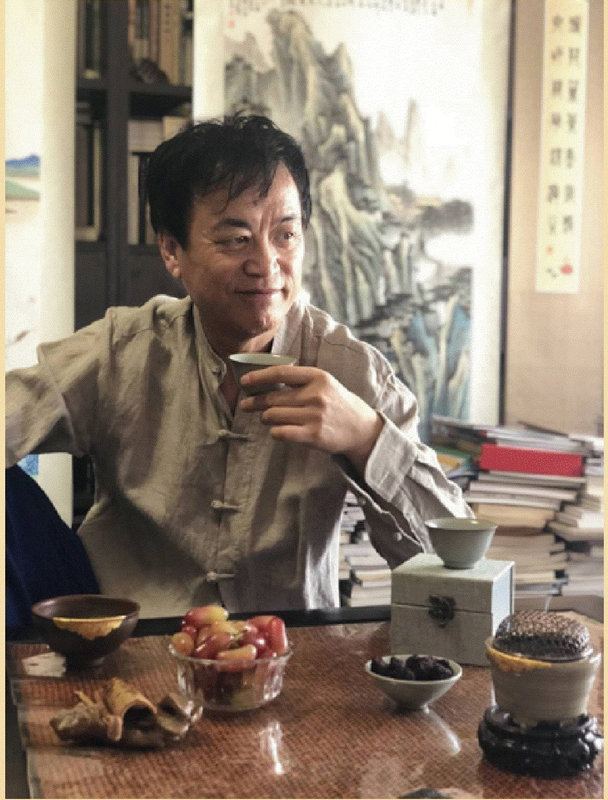 All Chinese middle school students learn the essay "Ode to the Lotus", written by the Northern Song Dynasty scholar Zhou Dunyi(1017-1073). The writer compared lotus to a noble gentleman of virtues. The most famous lines in the essay are: "out of muck and mud grows unblemished; and out of clear waters shows pure and stainless".